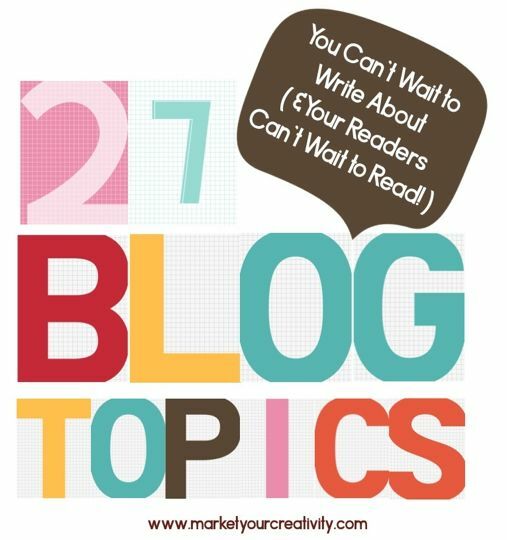 27 Blog Topics You Can’t Wait to Write About! My next project is a book on blogging (The Ultimate Blogging Kit), and I’ve had so much fun writing it because I love my blog! When I first started writing online, I didn’t have a strong voice. I was ignorantly opinionated, often cynical and sarcastic, and I mimicked many of the other bloggers that made me laugh. If I do say so myself, I’ve evolved! I credit blogging for helping me to rethink and refine the content that I put out into the world. At first, I didn’t know what to say. But over time, certain ideas would strike me, and I’d get lost in the zone. I’d read back over what I wrote, and I’d feel so proud … it was all so true and real. I love when that pours out of me. 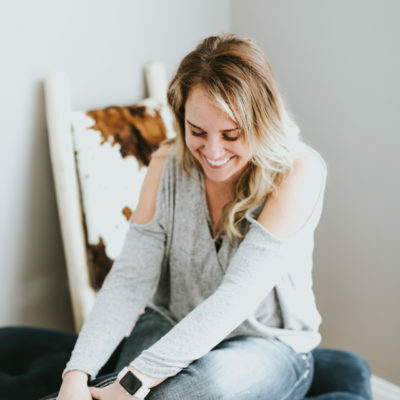 Inside The Ultimate Blogging Kit, I’ve come up with 104 irresistible blogging topics (enough for two years of weekly posts) that you can’t wait to write, and your audience can’t wait to read. Today, I’d like to give you 27 free samples ;). If you write on any given subject, please be sure to post a link to your site in the comments! This is the book that changed my life! My favorite positive affirmation or mantra – it gets me through every time! The number 1 question customers ask me … + the answer! That next big thing you want to accomplish? Find someone who’s done it, and then interview them on your blog! Don’t forget to link back! I already can’t wait to read your posts! Thank you, for the inspiration. Absolutely! Link back with whatever you choose 🙂 I’m so excited to read whichever one you pick first! These are great, I will be linking back to!!! I am getting ready to stock my store up and release a collection, as well as CHANGE MY HABIT of inconsistency!!! Thanks, Angela! Please do link back! Ria, I can hardly wait to read your first post! Thanks so much for such great topics. I don’t blog regularly since I am not good about coming up with topics! YOU just changed all that!!! If no one has told you lately, YOU ROCK!! you motivated me to get started! I blogged on “If I knew I Could NOT FAIL” and “10 products I am wishing for now” on my new blog. Thanks for the encouragement to get serious about it! 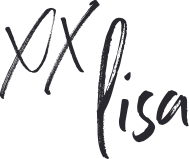 Lisa- Some really great ideas here and I will definitely be trying out a few. thanks. Thank you Lisa for a great list! I’ve changed direction a bit since I was with Fizzle (are you still part of that community?) and I’ve started a new blog so these topics look relevant to what I want to write about. I’m looking forward to seeing the finished book. I am – not as active since they’ve sort of shifted focus to the podcasts. That’s great – so glad they’ll be relevant for your new blog!! Thanks. Awesome, Miriam! Thanks for linking up. Very inspiring i will post topic like these on my blog too!! I’m definitely going to do one of these per week! My blog needs a refresher and new things! Thank you for this! I’m great at my personal/non-work blog, but get blocked when thinking of things for work. This is a great jump-start, thank you! I plan to write a post after lunch, either 10 Products I’m wising for, or my 10 favorite Etsy shops. And I plan to get The Ultimate Blogging Kit in just a few minutes — your business planner/productivity workbook, Your Best Year 2014, really helped me focus and I imagine this one on blogging will work the same magic. Thank you! Mission accomplished, Lisa! I blogged here about my ten favorite Etsy shops and what I love about them (http://haldecraft.wordpress.com/2014/08/19/my-10-favorite-etsy-shops-and-what-i-love-about-them/). The best part? My blog is set to auto-tweet when I publish; not 15 minutes later one of my twitter followers messaged me that she’d loved one of the shops I talked about so much that she bought two of her mugs! The artist is just starting out and hasn’t had that many sales, and I’m over the moon for her. I feel like I really passed on some magic, so thank you for inspiring me to write that post! It’s me again! I’m clearly not doing these in any kind of order, because this morning I blogged about how I spent a day off (erm, in June… I’m not very good at taking days off… ::shifty eyes::). Writing about it sure made me want to take another, though! Toni, I’ve really been enjoying peeking in at your blog! Thanks so much for sharing! The week before last I wrote about what I would do if I new I could not fail (https://haldecraft.wordpress.com/2014/09/04/if-i-knew-i-could-not-fail-i-would/). This last week I was buried in dyeing and winding yarn for a club I run that was more popular than I expected (that’s a rough challenge, isn’t it?!) so I didn’t have much time for blogging. I was thinking about doing my favorite free apps next but I also want to write about my favorite blogs… maybe this coming week will be calm enough that I’ll do both. I’ll keep you posted. Thanks for doing this, Lisa, you’ve really inspired me! Oh! And I forgot to add — I Instagrammed this morning about my breakfast, “what fuels me” (kind of related to your #19), and that’s gotten more comments and views on Facebook than some of my work-related things! How funny is that – people are really interested in breakfast! I enjoyed both posts! Love your tagline: crafting since birth; drinking since noon – YES! 😉 Thanks so much for sharing. I love them! & I’m in the market for a beanie! Thank you so much, and I can hardly wait to welcome you to the Luminaries!! Hi, Lisa. I am new at blogging (really, really new). I found your site from Pinterest and read through your list. I decided on #27 because it was very fitting to my life right now. This was my second blog post. Any feedback is welcome. I love your list and plan to read your book. I absolutely LOVE these topics! They’re great! (I don’t think Commentluv loves me any more, as it keeps thinking my shop address is where my blog should be… oops…). I’m going to look into Commentluv & why it’s shunning you! I loved your book; I listened to that one on audio. Thanks so much for sharing! I can’t resist that title! I’ve read Ask and It is Given by Esther Hicks, but I have yet to read The Secret! It’s on my wish list, and I hope to get to it soon. Thanks so much for sharing. Thank you for sharing Liisi! This is a great list of topics. Especially some you can make into series to keep it going. This is great! I’ll certainly be using these as inspiration of sorts. I’m curious about something though; these topics seem very personal. If I just happen to come across “my 10 favorite etsy shops” and I haven’t read or followed your work before, why would I be enticed to read about Lisa’s favorite etsy shops? I guess if I were searching for “best etsy blogs” it would be relevant to me. I’m just curious as to if the topics were created more for your personal enjoyment and that maybe people will be interested or if there is another more specific sell for them? Thanks for the question – people enjoy resource lists + find them useful for all sorts of reasons. They’ll read “10 favorite Etsy shops” to see if there’s some they’ve never seen before, or if they sell on Etsy, to see if they’ve made the list. I am so exctied to do this 27 days of writting on my blog! You have in my opinion the best blog topics out there for a thirty day blogging challenge. I am going to adthree more of my own topics to make it thirty days but this is awesome! Thank you for writting and thank you for all the great advice. yay! i always find blog post ideas really helpful. i’ll link back if i use one of these! thanks for the inspiration. I just found this on pinterest and am so going to use some of these. I am new to blogging and think to myself that one day I will run out of ideas. Thank you for sharing.